I know how this sounds, but it’s an honest question: doesn’t it seem like death and devastation were all up in the news in 2012? I think it started with Whitney Houston – a high-profile death that was not entirely shocking but nevertheless tragic. There will never ever be another Whitney, just as there will never be another Jenni Rivera. These are women who left the world different than when they entered it. They inspired people. They opened doors for other artists after them. And many, many will mourn them – from those who knew them personally to those who felt extremely connected to them through their music. I admit I did not sleep all that well in the days following the news of Jenni Rivera’s death. Following and covering the story of someone’s tragic and untimely death 24/7 will do something to you, will make you wonder things, like: What does looking at death mean to your own life? Is it a chance to make all your wrongs right? A chance to be grateful for what you take for granted? A chance to really start living? It’s a little bit of everything, I think. Somewhere, I wondered, like many others, if maybe Jenni Rivera had been kidnapped by narcos, and would re-emerge at some point on El Gordo y La Flaca, as she always did, with an incredible story to tell – and she really did love telling stories. If you listen to her songs, they’re all part of some telenovela-like yet somehow relatable narrative, the basis for her would-be biopic, in which Elizabeth Peña would play her to perfection, much like Jennifer Lopez played Selena. It wasn’t until I went to her parent’s home in Lakewood, Calif, and I heard her family confirm that her remains had been identified, that it hit me with full force: This woman was gone, really gone – in what I consider to be one of the most awful ways one can die. Whether or not we have a feeling of some sort, a premonition, does it really mean we have any more control over when it’s our time to go? I personally don’t think we have that power. I think assuming we do is somewhat arrogant. Nothing reminds us how fragile and powerless we are more than natural disasters – and Hurricane Sandy certainly proved her point – a superstorm causing more than $50 billion in damage when it struck the Eastern Seaboard in late October. 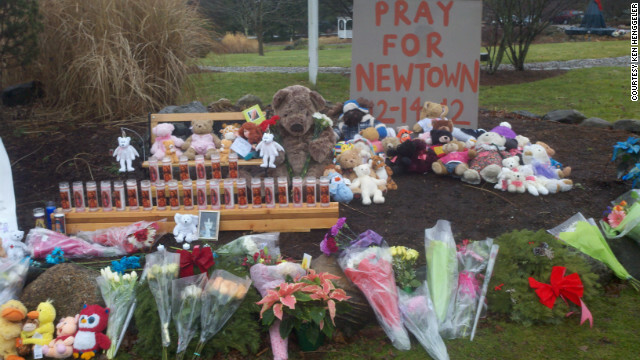 With events like the Dark Knight Rises shooting in Aurora, Colo., or the most recent massacre at Sandy Hook Elementary in Newtown, Conn. – all the more tragic because it involves children – it’s hard not to want to just crawl into bed with a loved one, and just wait for the so-called Apocalypse to wipe us out. But how sad would it be if all those who are meant to leave their mark on this world and prove that it’s not all evil, didn’t get the chance to do so? As we head into 2013 – and I have no doubt we’ll make it there, despite all this end-of-the-world talk – death remains one of humanity’s greatest mysteries. I don’t think we’ll ever know the answer to why some people’s lives are cut short while others get to live long, full lives, or why some must go tragically while others peacefully. All we know for sure is that our days are numbered. It can be a troubling, all-consuming thought, if you let it – and I certainly have. Months later, my friend would describe moments in which she felt her father around them. She described it as a peaceful feeling. He had found a way to get to know her son after all. I’d like to think that maybe that medium was right. Maybe what happens after dying really is as simple as stepping into another room – one where perhaps there is a different kind of enlightened existence. Eternal, even – with no pain, no loss. No guns. But for now we are here, in this room. And I can’t help but think that every passing moment in that room is special in itself, not just as a ticking clock for what’s next, but for what it is – and what is it if not what we make it? Here’s to making every moment count.